Thanks to Glenn Marvin of Konnector who interviewed me on his 302 Temporary Redirect Show (that’s a geek joke – a website has a 302 error code…. ). During the show Glenn asked me what my “always on” fundamental B2B marketing activities are. If you want to listen it’s at 18:25 through to 20:24. Database of clients, suspects and prospects. Regularly updated. Speaking at conferences, events and being a PR spokesperson for your trade magazine. Every marketer dreams of being able to help their clients achieve an unassailable advantage over their competition. 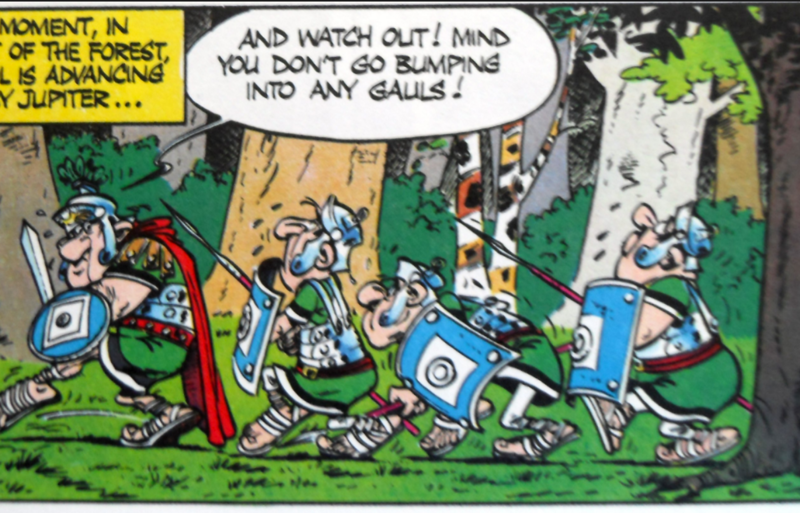 Kinda like Asterix and Obelix the ‘indomitable Gauls’ against the Roman Empire. I dream of finding a marketing tool or service which will knock my opposition’s pitch out of the ballpark. Today I think I have seen one. The commercially savvy partners at Simmonds Stewart IP lawyers have provided FREE a giant set of legal templates for download. I’m very impressed with them giving away templated legal documentation as part of their brand building. They caveat appropriately about the use of these, but for startups, it certainly gives gigantic brand building opportunity and of course allows the prospective client to quickly bookmark their favourite lawyers’ website for future reference. Is there an equivalent which could make your professional services business stand out in the same way? This could be a devastating marketing death-blow (Vulcan death grip?) for competitors.